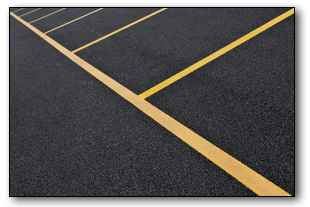 For a property manager or commercial property owner, the function and appearance of your parking lot is a very important consideration. 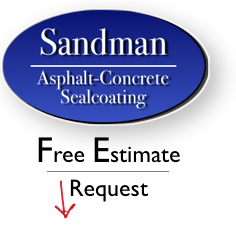 Here at Sandman Asphalt Paving our Parking Lot maintenance systems are cost effective and designed to identify problems early. By finding these small problems we’ll help control your costs and improve the safety of your parking surface. As part of our maintenance program, our seasoned professionals will come out regularly to inspect your surface. Since even small cracks can let water seep in and degrade your Parking surface prematurely we look for these and recommend sealing cracks and sealcoating your blacktop surface regularly. This will extend the life of your parking lot and keep it looking great for years. Crack Sealing- Keeping cracks filled, keeps moisture out and extends your surface life. Asphalt Patching- We’ll repair your problem areas with our patching systems. Seal Coating- Keeps your surface looking great and will also extend the life of your asphalt. Resurfacing- A cost effective way to pave your lot and keep it looking and functioning well. Sweeping and Striping- We’ll keep your lot safe and looking great for many years to come. Since our area here in Illinois is filled with schools, shopping centers, multi-family apartment buildings, strip malls and other commercial property, we take great pride in keeping our programs comprehensive and priced right. Our Asphalt Contractors here at Sandman are highly trained, experienced asphalt contractors who make quality our top priority. If you have any questions about our services or are ready to get your free estimate, simply fill in your information on the right side of this page or give us a call. Our office number is 847-836-6071. Our friendly staff are here to help! Crystal Lake, Algonquin, Schaumburg, Elgin, Barrington, Huntley, and the surrounding communities.